The below table shows the minimum and recommended system requirements for running the Addon. 2) PHP 7.0 requires Ioncube Loaders 6.1.x or later. 3) PHP 7.1 and 7.2 requires Ioncube Loaders 10.1.x or later. Issue with newer versions of simplexml fixed. Bugfix when customer language settings in WHMCS is set to "default". Move Domain / Services tool added. Promo Daily Update Mail: Default Selling price and Promo Selling Price added. Domain Transfer Check: Cron check tool and script checks now only the registrar for which the TLD has been setup. Import TLDs & Prices Tool: New option available to set selling prices in WHMCS using cost price + Dower value. Fundthreshold Hook [FIXED]: The values ? ?for total, blocked and available funds were set to 0.00 in the Funds Alert E-mail when a Product has been purchased or renewed. Google API currency conversion integrated for Domain Pricing Import Tool option "using my cost price and an incremental value". Improved: Manage TLDs & Domains Subtool Activate/Deactivate Domain Addons with a new option: "leave as is"
Implemented: Configurable Domain Price Sync Cron for each Reseller account. Improved: Reseller Account Setup handling. Setup for up to four accounts and enable/disable accounts with one click. 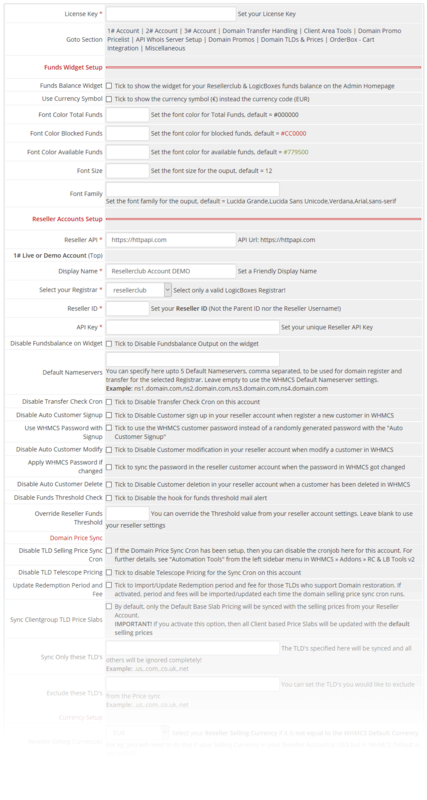 Changed Customer signup/modify company name field from "Not Acceptable" to "Not Applicable"
Import TLDs & Prices Tool: The default selling currency from reseller account was used instead the whmcs default currency for increase/decrease and costprice/incremental values for accounts configured with "account currency conversion"
Implemented: Update Recurring Amount in Tool "Activate/Deactivate Management Tools for Domains"
Deprecated: Price Currency Update no longer depends on WHMCS and Automation settings (Currency Auto Update Settings). Updated: Now partially working for six template, only for category "All TLD Pricing"
Updated: Domain Price List Widget with support to call a list of currently available Domain Promos. See installation Documentation TAB "Domain Price Widget" » "Currently available Domain Promo List"
Updated: DailyCron triggered action hooks changed from "DailyCronJob" to "AfterCronJob"
Changed: PDO Exception in all Product Import tools except for the Single Domain Legacy and DIY Sitebuilder Import tool due to the missing billing cycle in the API Response for Services to be imported. The Billing cycle will be set to the lowest available Billing cycle until ResellerClub provides the real billing cycle for active services. Updated: Google Currency API no longer available, affecting displaying the conversion of cost prices and percentage for "Your Profit Margin". Log into your ResellerClub / LogicBoxes Reseller account. Whitelist the Hosting Server IP's where you have WHMCS installed. Where I have to whitelist my Hosting Server IP? Once whitelisted your "whmcs domain ip" and the "Server primary ip", download the FREE ResellerClub Tools for your PHP VERSION to your computer and save the zipped file in the directory of your choice. Do not upload the folder "widgets" into the modules folder!!! The folders "includes", "modules" and "widgets" must be uploaded into the folder where you have installed your WHMCS. This will show the configuration options for the Addon. Click the image to enlarge. Click to scroll down to the "BASIC Setup and Configuration for your 1# Live Reseller Account"
Complete only the following mandatory steps to setup the FREE Tool Suite for the first time. License Key: Enter your Free Licence key. You can fetch the key from our client area products details page or from the email you have received. Funds Balance Widget: Tick to show the widget for your Resellerclub & LogicBoxes funds balance on the Admin Homepage. Note: You also need to activate the Admin Widget in WHMCS » Setup » Staff Management » Administrator Roles: "Widgets". Visit the TAB "Admin Widget" for further details. Reseller API: The API URL is always https://httpapi.com. Do not add a trailing slash and do not change the URL! 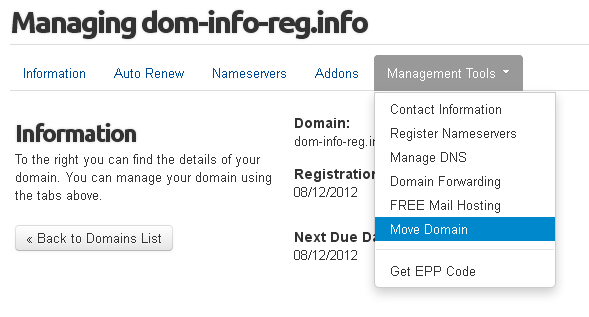 Select your Registrar: Select your Domain Provider from the dropdown menu. resellerclub, netearthone, stargate (resell.biz), etc. Reseller ID: Set your Reseller ID. This is a numeric value. How to find your Reseller ID is described in TAB "Before you Start!" Reseller API Key: Set your Reseller API Key. How to find your Reseller ID is described in TAB "Before you Start!" Reseller Selling Currencies: If the Selling Currency in your Reseller Account is not equal the default selling currency in WHMCS, then select here the reseller selling currency established in your Reseller account. If the Reseller Selling curreny is not available in WHMCS, then you need to setup the currency first in WHMCS. This is a very important setup step! Default Multiplicator: Let the multiplicator dropdown on it's default value "1" if your currency is not calculated in 10's, 100's or 1000's. Example: If your default currency is COP, then change this to "1000". Activate Currency conversion: Tick the checkbox only if your WHMCS default currency does not match the default currency in your reseller account (see above, point 8)! For example, activate this option if the default selling currency in your reseller account is INR but the default currency in WHMCS is USD. This option converts INR into USD using the conversion rate you have setup in WHMCS. Access Control: Under Access Control select Full Administrator. Finally click the button "Save Changes"
Access the FREE Tools Suite Homepage from the WHMCS Top menu "Addons" » "RC & LB Tools v2"
Once you have the FREE Tools correctly setup and running with the basic configuration, proceed to configure further the FREE Tools and customize the behavior and settings for all the tools to fit your needs. The following shows a short description of all available config options. To learn more about the tools, visit the TAB "How it works". Font Color, Size, Family: You can change the colors and font style for the admin home page funds balance widget. Can be leaved blank for default style. Disable Auto Customer Signup: If you do not want register your Customers automatically in your reseller account when they register in WHMCS, then click the check box. Use WHMCS Password with Signup: Tick to use the WHMCS customer password instead of a randomly generated password with the "Auto Customer Signup"
Update Redemption Period and Fee: Tick to Import/Update Redemption period and fee for those TLDs who support Domain restoration. If activated, period and fees will be imported/updated each time the domain selling price sync cron runs. Sync Clientgroup TLD Price Slabs: By default, only the Default Base Slab Pricing will be synced. However you can tick the checkbox to activate sync for all Domain Client group Price Slabs. Exclude these TLD's: You can set the TLD's you would like to exclude from the Price sync. Broken Domain Transfers : By default the Domain status is always "Pending Transfer" even if the Domain has been deleted from your LogicBoxes Account. Set your preferred option on how to handle a non existent Domain Transfer in WHMCS. Recommended settings: "Cancelled"
Transfer Failed Email Template: This is the standard WHMCS Email Template "Domain Transfer Failed" and valid for the FREE Tools. Feel free to customize it. 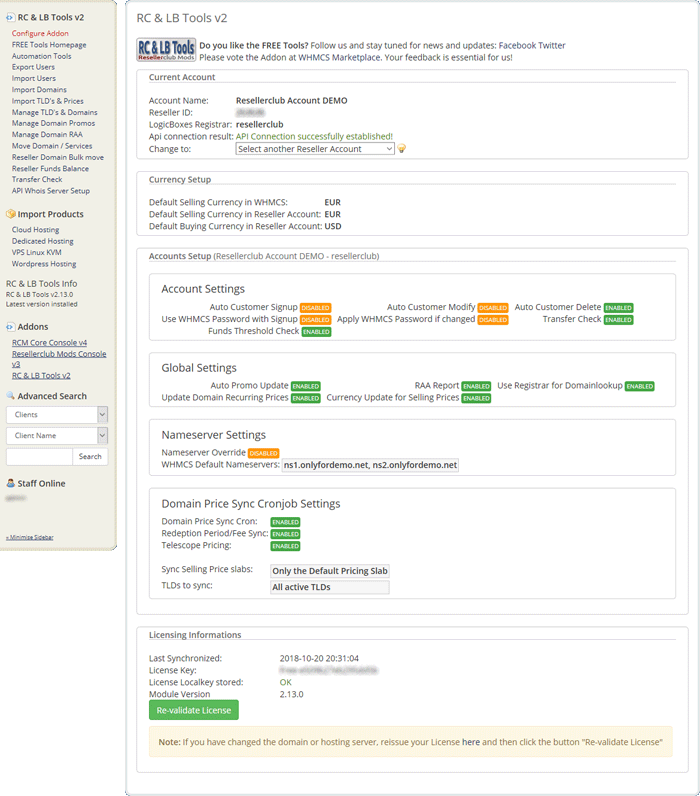 WHMCS Template Style: Select the WHMCS Style for the domain Price List. For example, if you use the five WHMCS template style, then select "five", or if you use the six WHMCS template style or a custom theme based on the six theme, then select "six". If your theme is customized and not based on six or five, then select custom and declare your own CSS classes below. Whois Lookup Secret: Set an alphanumeric key [0-9 a-z A-Z] with an exact length of 10 to protect unauthorized use of whois lookups by others. 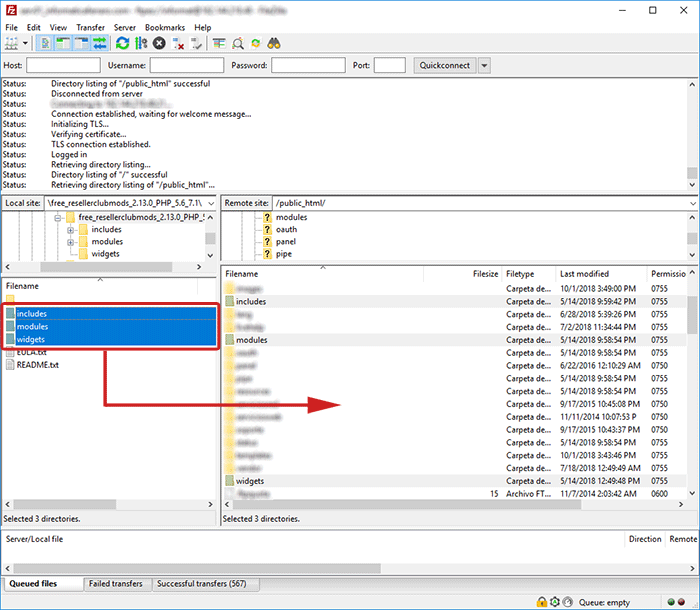 Use Registrar for Domainlookup: If activated, domain availability lookup will use the reseller account for the registrar module defined in autoreg TLD settings, otherwise the first configured account registrar will be used. Google Currency API: Tick to activate currency conversion to display your cost prices in your currency if the buy currency does not match the selling currency in WHMCS. Make sure you have activate the option Funds Balance Widget from the Addon setup. Goto Setup » Administrator Roles (whmcs v5.2 Setup » Staff Management » Administrator Roles) and select the Admin Group who should have permission to see the funds balance widget on the admin home page. Under the "Widgets" Section you will see the new widget called "ResellerCub & LogicBoxes Tools v2". Tick the checkbox and "Save Changes"
Goto the FREE Tools Addon configuration in Setup » Addon Modules » RC & LB Tools v2, scroll down to the section "Domain Promo Pricelist" and select "default" from the option "WHMCS Template Style". Save the configuration and finally upload the modified template files back into your active template folder. Goto the FREE Tools Addon configuration in Setup » Addon Modules » RC & LB Tools v2, scroll down to the section "Domain Promo Pricelist" and select "six" from the option "WHMCS Template Style". Save the configuration and finally upload the modified template files back into your active template folder. To style your custom domain table, edit your custom template css file and add these classes with your own CSS code or set the appropriate css class names in the Addon Configuration, section "Domain Promo Pricelist"
Goto the FREE Tools Addon configuration in Setup » Addon Modules » RC & LB Tools v2, scroll down to the section "Domain Promo Pricelist" and select your "WHMCS Template Style". Save the configuration and finally upload the modified template files back into your active orderform template folder. The default URL to access the Domain Suggestion Tool is https://url-to-your-whmcs/index.php?m=resellerclubmods_tools&action=suggestdomain. This is the way WHMCS loads Client Area Addon module pages (see https://docs.whmcs.com/Addon_Modules#Client_Area_Output). The template file located in /whmcsroot/modules/addons/resellerclubmods_tools/ is styled for WHMCS six and default/five based themes. Feel free to customize the template file to fit your needs! The default URL to access the Move Domain Tool is https://url-to-your-whmcs/index.php?m=resellerclubmods_tools&action=movedomain&domain=domainname&domainid=domainid. This tool works only for Admins logged in on behalf of a Customer or if permission is granted, for logged in Customers. The link must be placed into the clientareadomaindetails.tpl file. When your Customers login to their Customer OrderBox Control Panel, there are several options available to purchase various products and services that you sell. These are in the form of buttons or links either in the menu or the pages themselves. These links and buttons need to redirect to the Shopping Cart or any custom page or site of your WHMCS. You can customize the destination URL's in the FREE Tools Addon Configuration Section "OrderBox - Cart Integration". In order to redirect your logged in Customers from the OrderBox Control Panel to your WHMCS, you need to setup an Integration URL. Your custom Integration URL is available in Addons » RC & LB Tools v2 » "Automation Tools" with a guide on howto setup this in your reseller account. AutoAuth is a great built-in feature from WHMCS. AutoAuth stands for Automatic Authentication and is a method for you to be able to automatically log a user in from your own trusted third party code. For example you might use it if you have another software on your website which clients already log into, and once they have logged into that you don't want them to have to re-authenticate again seperately to access WHMCS. You can at any time disable the AutoAuth login feature from the FREE Tools Addon Configuration "OrderBox - Cart Integration". With AutoAuth disabled, logged in OrderBox customers will not be authenticated in your WHMCS and only redirected to the URL's you have setup for each action. Reseller Account Switcher: You can switch at any time to another reseller account from any of the Tool pages. The active account is always visible on all Tools pages. The same account switcher is available on the FREE Tools home and whenever you change the addon settings for an account you have to use it to reload the new configuration settings. Fundthreshold Alert (action hook): The action hook runs when a product or domain (register, transfer, renwal) has been successfully added in your reseller account. It checks your threshold level against your available reseller funds. If the funds balance is below the threshold, an alert mail will be send to the admin. An alert mail is again send if the funds balance has changed to an ever lesser value than the last recorded value. You can disable the hook in the Addon Configuration: WHMCS » Addons » RC & LB Tools v2 » Left Sidebar Menu link "Configure Addon" » Section link: 1# Account (or the account in question). Auto Promo Update (action hook): The action hook runs when the daily whmcs cronjob runs. It checks if you have promo prices applied to the domain selling prices and if the promo is still valid. If the promo has ended, the selling price will be reset with the default selling price. A daily Redport will be send to the Admin if at least one promo has been activated. You can disable the hook in the Addon Configuration: WHMCS » Addons » RC & LB Tools v2 » Left Sidebar Menu link "Configure Addon" » Section link: Domain Promos. Delete Customer (action hook): The action hook runs when you delete a customer in WHMCS and deletes the customer account from your ResellerClub / LogicBoxes reseller account if not disabled from the addon setup. An entry of each action is written into the WHMCS System Activity log. Modify Customer (action hook): The action hook automatically syncs the changes to the ResellerClub / LogicBoxes customer account when you or your customer modify the customer profile in WHMCS and if not disabled from the addon setup. An entry of each action is written into the WHMCS System Activity log. Register Customer (action hook): The action hook runs when a new customer signup or when you manually add a new customer. It adds the customer automatically under your ResellerClub / LogicBoxes reseller account if not disabled from the addon setup. An entry of each action is written into the WHMCS System Activity log. Use WHMCS Password with Signup (action hook): The action hook runs when a new customer signup or when you manually add a new customer. If activated, the whmcs customer password will be used for the logicboxes customer account. Please take in mind the logicboxes password rules. Should a password not meet these requirements, customer signup will fail. You can activate the option in the Addon Configuration: WHMCS » Addons » RC & LB Tools v2 » Left Sidebar Menu link "Configure Addon" » Section link: 1# Account (or the account in question). Apply WHMCS Password if changed (action hook): The action hook runs when you or a customer changes the customer password. If activated, the whmcs customer password will be changed for the logicboxes customer account. Please take in mind the logicboxes password rules. Should a password not meet these requirements, change password will fail. You have specified a set of nameservers for the reseller account in Setup » Addon Modules » RC & LB Tools » Reseller Accounts Setup » "Default Nameservers"
The override Nameserver feature only runs when it comes to execute the register or transfer module commands for a LogicBoxes Registrar Module and you have set Nameservers in the "Default Nameservers" field in the Reseller account setup. RAA Domain Report (action hook): This action hook runs when the daily whmcs cronjob runs. You will receive a report with all domains pending verification once a day. You can disable the Report in the Addon Configuration: WHMCS » Addons » RC & LB Tools v2 » Left Sidebar Menu link "Configure Addon" » Section link: Domain Transfer Handling. Update Domain Recurring Prices (action hook): This action hook runs when the daily whmcs cronjob runs and will update all domain recurring prices automatically for you. The recurring price is taken from the WHMCS renewal domain price table, based on the default slab and client group slabs (if apply). Domains set to 0.00 (FREE Domains) are excluded and not updated. You can activate this option in the Addon Configuration: WHMCS » Addons » RC & LB Tools v2 » Left Sidebar Menu link "Configure Addon" » Section link: Domain TLD's & Prices. Manage Domain Promos: This tool allows you to setup your own Domain Promos for Register/Transfer/Renewal. The tool also shows all active promotions you have within your ResellerClub / LogicBoxes Reseller Account. You can update the domain selling price with the established or with your custom promo price. If the option "Auto Promo Update" has been activated, WHMCS daily cron automatically takes care to terminate the promo in WHMCS by changing the promo price back to the normal selling price based on the established promo end date. Domain Transfer check GUI : This tool checks if a Domain Transfer has been completed in your reseller account, sets the domain to active and send a confirmation mail to the customer if activated in the addon setup. Domain Transfer Check Cron: The same as for Domain Transfer check GUI tool but running as an automated cronjob. An email with the check result will be send to the admin. You can setup a cronjob for each reseller account. You can disable the Cron without the need to remove the cronjob, in the Addon Configuration: WHMCS » Addons » RC & LB Tools v2 » Left Sidebar Menu link "Configure Addon" » Section link: 1# Account (or the account in question). Domain Price Sync Cron: You can setup a cronjob to sync all your Domain prices in WHMCS with your selling prices from your Reseller Account! If you have set up multiple Reseller Accounts, with different LogicBoxes Registrars, then you can setup for each reseller account a cronjob to sync a specified list of TLD's. We recommend to setup a daily cronjob. To setup a cron, see WHMCS » Addons » RC & LB Tools v2 » Left Sidebar Menu link » Automation Tools. Update Redemption Period and Fee: Activate this option if you want to Import/Update Redemption period and fee for those TLDs who support Domain restoration. If activated, period and fees will be imported/updated each time the domain selling price sync cron runs. You can activate this option in the Addon Configuration: WHMCS » Addons » RC & LB Tools v2 » Left Sidebar Menu link "Configure Addon" » Section link: 1# Account (or the account in question). Disable Telescope Pricing: You can globally disable telescope selling pricing. If disabled, only the first year selling price will be imported/updated and all other years will be deactivated. This option applies to the Domain Price Sync cron as well as to the TLD Bulk Update feature from the "Import TLD's & Import/Update Selling Prices"
Move Domain / Services: This Tool moves the Domain and all associated Products from one customer to another customer in WHMCS and in your Reseller Account. Export WHMCS Users: This tool allows you to add an existent WHMCS client to your ResellerClub / LogicBoxes reseller account. Domainbots Suggest Domain Tool: This tool will help your Customers find and register good domain names. You can place the link to the domain suggest tool on any of your website pages. By default the Domainsbot Tool does not need Login. You can restrict access for registered clients. You can configure this tool in the Addon Configuration: WHMCS » Addons » RC & LB Tools v2 » Left Sidebar Menu link "Configure Addon" » Section link: Client Area Tools!. Move Domain to another Client: This Tool allows Customers to move their domains from their whmcs account to another whmcs account. By default, this tool is not activated. To allow access you have to activate the tool and configure the permissions for "Admin Only" or "Admin and Clients". Additionally you may restrict further use with the WHMCS sub-accounts permission "Manage Domains". Domain Promo Pricelist: This Tool allows you to expose domain selling prices with active domain promo prices and Redemption Fees, styled with your own css code. For further details please see TAB "Domain Price Widget". Manage TLD's & Domains: These Tools allows you to manage TLD and Domain related settings such as change the autoreg settings for the TLD's, change the Registrar Module for Domains and Activate/Deactivate Domain Management Tools for Domains. Reseller Domain Bulk move: This tool allows you to move your Domains from one Reseller Account to another Reseller Account. You can move your domains between Reseller Accounts from the same Registrar (ResellerClub sub-reseller to sub-reseller or direct reseller, the same for Resell.biz (Stargate), Net Earth One and ResellerCamp). RAA Domain Management This tool allows you to see and manage at a glance all the domains you have in WHMCS pending RAA verification. You can resend the mail for each customer or for the selected customers with one click. The interface shows how many days left for verification, how many times you have re sent the verification mail and the last sent date/time. Option Flags for Daily Cron hook tools: WHMCS offers option flags to control the daily cron processes individually. However, action hooks controlled with the daily cron are executed each time the daily cron runs. In order to avoid RAA Report and Auto Promo Update hooks to be executed each time the daily cron runs, add the skip flag for these tools. Information and Examples are available in the FREE Tool menu "Automation Tools". API WHOIS Server Setup: This tools allows you to setup automatically or manually the whoisservers.php file (WHMCS v6) and whois.json file (WHMCS 7) using your reseller api url for domain availability lookups instead of using public whois servers which are almost limited, overload, restricted or simply unavailable. For taken domains, extended whoislookup will show full whois results without restrictions. Public whois servers for extended whoislookup are located in the file whoislookup.php and can be extended at any time manually. Use Registrar for Domainlookup: If activated, domain availability lookup will use the reseller account "registrar" and the "registrar module" defined in autoreg TLD settings. By default this option is disabled and you should not enable it unless you fully understand how it works. You have setup at least two reseller accounts for each "Registrar" in the FREE Tools configuration. For Example, if you plan to use Resellerclub and Netearthone togheter, then you need to select the corresponding "Registrar" for each account. It is possible to use two reseller accounts from the same registrar, eg. Resellerclub, but it is mandatory to select for each Reseller Account a different registrar and you need to setup the corresponding registrar module. Import Users: This tool allows you to import multiple clients on a per 100 clients step batch (adjustable in addon setup). Optionally you can activate to import the current customer funds which then are available in the WHMCS clients profile. Import TLD's & Import/Update Selling Prices and Redemption Fees : This tool allows you to Setup Domain TLD's and Import / Update your domain selling prices with the selling prices from your reseller account. A second option allows you to use your cost price + a Dower value instead importing your selling prices from your reseller account. Import SSL Certificates: This tool allows you to Import all active and suspended SSL Certificates for each ResellerClub / LogicBoxes user. This tool only works with our provisioning module R.C.C Provisioning Module. Certificate Products must be setup correctly before you can start with import. Import Sitelock: This tool allows you to Import all active and suspended Sitelock Plans for each ResellerClub / LogicBoxes user. This tool only works with our provisioning module R.S.L Provisioning Module. Import CodeGuard: This tool allows you to Import all active and suspended CodeGuard Plans for each ResellerClub / LogicBoxes user. This tool only works with our provisioning module R.C.G Provisioning Module. Import Impress.ly: This tool allows you to Import all active and suspended Impress.ly Plans for each ResellerClub / LogicBoxes user. This tool only works with our provisioning module R.I.S Provisioning Module. Import Cloud Hosting: This tool allows you to Import all active and suspended Cloud Hosting Plans for each ResellerClub / LogicBoxes user. This tool only works with our provisioning module R.C.H Provisioning Module. Import Google Suite: This tool allows you to Import all active and suspended Google Suite Plans for each ResellerClub / LogicBoxes user. This tool only works with our provisioning module R.G.S Provisioning Module. Import Wordpress Hosting: This tool allows you to Import all active and suspended Wordpress Hosting Plans for each ResellerClub / LogicBoxes user. This tool only works with our provisioning module R.W.H Provisioning Module. Install the Addon as per the setup instructions given in TAB "Setup"
Download the latest release for your php version from our client area product details page for your FREE license, TAB "Downloads"
Upload the folders "includes", "modules" and "widgets" from the unzipped local folder \free_resellerclubmods_x.x.x\ into the whmcsroot/ folder. Important! The folder "widgets" must be uploaded into the main whmcs folder like the "modules" and "includes" folder. Do not upload the "widgets" folder into the whmcs "modules" folder! Goto the FREE Tools Addon Home: WHMCS » Addons » RC & LB Tools v2. This will trigger any needed Database updates and update the FREE Tools version number. You may visit now the Addon Configuration to make further changes for the newly implemented tools and options.